IT Works - System Management Technologies, Inc. Your IT system is an ever changing landscape: computer asset upgrades and management, operating system and application licensing, updates and migrations, security patches, disaster recovery, user management, help desk support, and more. Budget constraints can lead to system failures and downtime in any of these areas, affecting top line revenue. The solution to resource constraints? Provide the IT support team tools that automate repetitive tasks so they can cover more ground with less effort! At the core of IT Works sits the Hierarchical Inheritance Model, making it easier to manage computers and deploy software. Administrators can deploy operating systems, applications, configuration updates simply by dragging and dropping the software or customization package on the desired branch of the tree. All computers within the branch will automatically inherit the change unless otherwise noted. The administrator has instant visibility into the equipment configurations and software installed on each system. Click here to view some demonstration videos. What is an IT Works “package”? An IT Works Package is a complete set of instructions, including the software installation executable and all necessary configuration settings, required to install software on a computer. Should I “package” all my software for IT Works? Yes. Packaging software will enable you to deploy software to a variety of computers and ensure that all software installations are configured properly. SMT has a portfolio of software applications that are already packaged. For software that is not pre-packaged, packages can be created either by the IT Works administrator or SMT. What Technical certifications are required? IT Works does not require certification. IT Works is designed so that users with varying degrees of experience can be productive team members. The integrated nature of IT Works allows new IT staff members to add value to the organization sooner and with less training. Is IT Works only for large companies? IT Works delivers value to any size company. The ability to streamline the support operations is always useful. In either a large or small organization, the IT support staff always seem to have more than enough to do. How many computers can be managed? IT Works will support any number of networked computers. Both large and small deployments will realize a significant ROI. Will IT Works save me money or time? IT Works allows the IT support staff to perform more tasks efficiently and significantly reduce support requests from end users saving both time and money. Less problems to resolve and the problems that do occur are resolved more quickly. What operating systems are supported by IT Works? Microsoft Windows 10, Microsoft Windows 8.1/8, Microsoft 7. IT Works supports Microsoft Active Directory, Network Operating System (NOS), Microsoft Windows .NET. What software applications are supported by IT Works? Any windows based software including operating system drivers. Why does SMT suggest a “lockdown” security model? To restrict end users from making unintentional system changes or installing software and unknowingly create a support call. How do I deploy a single application to one or many computers? Using the ManagER interface, the IT Works administrator, right clicks on a computer, drag the software package(s) to the desired computer and select Deploy. In minutes the software will be deployed to the selected computer or groups of computers. Why is the inheritance feature beneficial? Software can be deployed to a group, e.g., Active Directory Organizational Unit (OU) and all member computers of the OU will be configured with the specific software. With IT Works, building and deploying a Common Operating Environment (COE) is as simple as dragging and dropping application packages. What will you do when a hard disk fails? Replace the drive and rebuild the system? But what software was installed on the failed disk drive? With IT Works simply boot the system using PXE or a boot CD, IT Works will recognize the system and rebuild in a matter of minutes to the exact configuration as before the failure. Can a remote helpdesk center use IT Works to support our users? Yes, your remote Help Desk staff can do many of the routine support tasks including deployment of software to remote locations. Why is IT Works better than a disk image or cloning technologies? IT Works is a complete solution for system deployments, software delivery, disaster recovery, remote management, system lock-down and more - in one single software solution. IT Works installs the software “native” to a machine so the software is configured specifically for that hardware and that user. Image technology will deploy a single snapshot or image of a system configuration and copy that same image to multiple computers. A disk image that is copied onto another computer does not allow for any hardware or configuration difference so the system will not deliver optimum performance. If changes are made to the configuration, then a new disk image must be deployed. How many computers can be managed by a single management station? IT Works can manage an unlimited number of computers. Can users change the system configuration or install software? We recommend that all customers use the lock-down security model so that a user has only user access to the system. Lock-down eliminates users from installing software or making system changes that require a support call. How are updates applied to computers? How about remote computers? IT Works uses an internal process called SystemSync. On a scheduled (by the administrator) or ad hoc basis each computer will connect to the IT Works database and automatically self-update with any newly authorized software or system configuration. Are mobile users supported with IT Works? Yes, IT Works support mobile users, servers, and desktop systems. Bandwidth constrained computers can be managed with a CD-ROM/DVD/USB drive. Many choices are available and IT Works can adapt to meet your specific requirements. Please note these videos show the some of the capabilities of the IT Works suite, namely the automated build of a sample system. They are presented at 10x normal speed. WAN (Remotely Managed) builds are performed securely over the Internet by using HTTPS/SSL and OpenVPN. 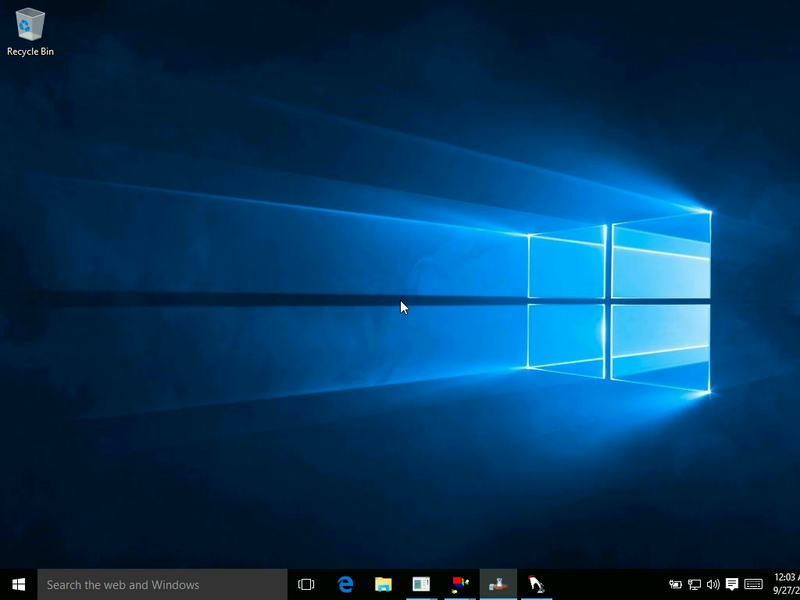 IT Works is used to perform a complete build of a Windows 10 Workstation, remotely over the internet using HTTPS and OpenVPN. The computer is booted into a custom WinPE environment which will validate the computer build via HTTPS and build the computer over OpenVPN. This video shows the Windows install, Installing Office 2013 from a customer DVD, Office 2013 SP1 via HTTP download from Microsoft, all customer applications, and customizing for the customer. Computer is configured in Architecter for Windows 10, Office 2013 and Other Applications. The WinPE Boot environment determines the State of the computers and starts the build process if instructed by the State value. Add Auto Run for the System Build and other processes (OpenVPN, MSRA, etc.). Scan through the assigned application and management processes and execute the items designated for the selected computer based on a variety of indicators. User is prompted for source (CD/DVD, etc) for Microsoft Office and other software as needed. Software is copied from IT Works Servers as needed. Software is downloaded via HTTP from vendor web sites as needed. Remove all the Auto Run entries. Remove the Auto Logon entries. Reboot for final settings implementation. IT Works is used to perform a complete build of a Windows 7 Workstation, remotely over the internet using HTTPS and OpenVPN. The computer is booted into a custom WinPE environment which will validate the computer build via HTTPS and build the computer over OpenVPN. This video shows the Windows install, Installing Office 2013 from a customer DVD, Office 2013 SP1 via HTTP download from Microsoft, all customer applications, and customizing for the customer. Computer is configured in Architecter for Windows 7, Office 2013 and Other Applications. IT Works is used to perform a complete build of a Windows 8.1 Workstation, remotely over the internet using HTTPS and OpenVPN. The computer is booted into a custom WinPE environment which will validate the computer build via HTTPS and build the computer over OpenVPN. This video shows the Windows install, Installing Office 2013 from a customer DVD, Office 2013 SP1 via HTTP download from Microsoft, all customer applications, and customizing for the customer. Computer is configured in Architecter for Windows 8.1, Office 2013 and Other Applications. LAN builds are performed over the Local Area Networks. IT Works is used to perform a complete build of a Windows 10 Workstation. The computer is booted into a custom WinPE environment which will validate the computer build and build the computer. This video shows the Windows install, Installing Office 2013, Office 2013 SP1, all customer applications, and customizing for the customer. Booting from PXE: The PXE Service communicates with our server to determine the state. Add Auto Run for the System Build and other processes (MSRA, etc.). User is NEVER prompted for source (CD/DVD, etc). Software is copied from IT Works Servers Only. 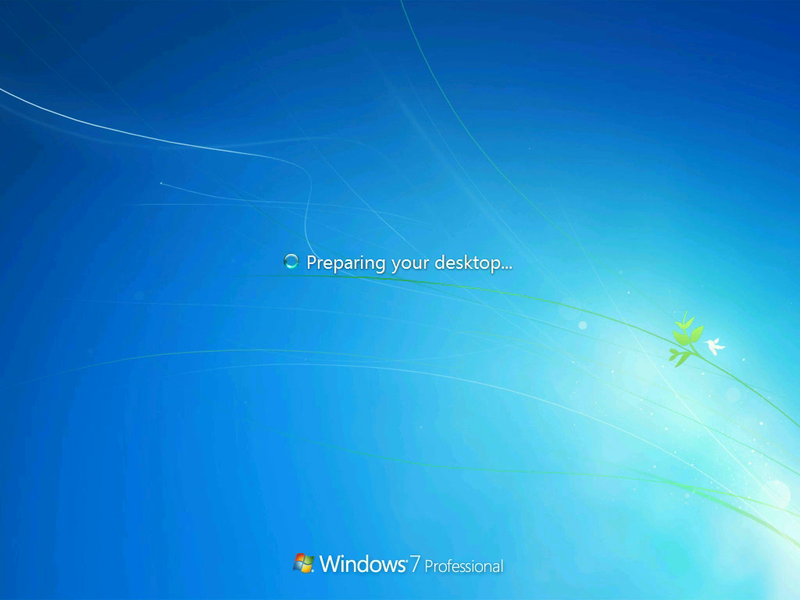 IT Works is used to perform a complete build of a Windows 7 Workstation. The computer is booted into a custom WinPE environment, via PXE, which will validate the computer build and build the computer. This video shows the Windows install, Installing Office 2013, Office 2013 SP1, all customer applications, and customizing for the customer. 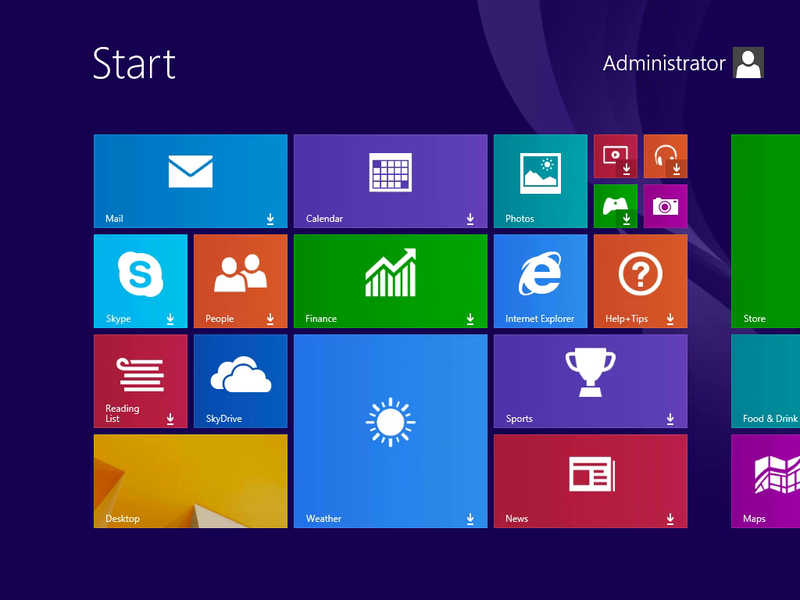 IT Works is used to perform a complete build of a Windows 8.1 Workstation. The computer is booted into a custom WinPE environment which will validate the computer build and build the computer. This video shows the Windows install, Installing Office 2013, Office 2013 SP1, all customer applications, and customizing for the customer. IT Works is used to perform a complete build of a Windows Server 2008. The computer is booted into a custom WinPE environment which will validate the computer build and build the computer. This video shows the Windows Server install, Component Installation, all customer applications, and customizing for the customer. Server is configured in Architecter for Windows 2012 R2, Components and Other Applications. IT Works is used to perform a complete build of a Windows Server 2012 R2. The computer is booted into a custom WinPE environment which will validate the computer build and build the computer. This video shows the Windows Server install, Component Installation, all customer applications, and customizing for the customer.